Barbara Stripling, senior associate dean and associate professor of practice at the School of Information Studies (iSchool), has been announced as the recipient of the 2017 Joseph W. Lippincott Award. This annual award is sponsored by Joseph W. Lippincott, III and presented by the American Library Association (ALA) for distinguished service to the profession of librarianship as demonstrated by outstanding participation in professional library associations, notable published professional writing, or other significant activities on behalf of the profession. Among Stripling’s achievements noted by the jury, and the many colleagues who wrote in support of the award, was her role as a prodigious scholar, advocate and educator. Over her long and distinguished career she has served as ALA president and president of the American Association of School Librarians (AASL), and currently serves as president of the New York Library Association (NYLA). 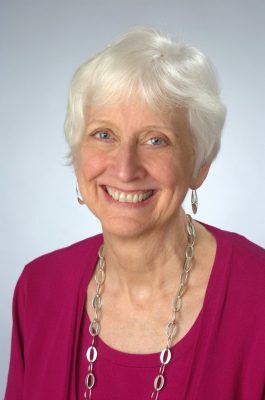 Stripling’s extraordinary impact as a preeminent scholar in the library profession is validated by her extensive list of published articles and books. Most notably, she is the author of the Stripling Model of Inquiry, which provides a blueprint for active learning and critical thinking that has helped focus schools nationwide on building a curriculum foundation based on intellectual inquiry. Particularly noted by Jefferson and other members of the jury was Stripling’s leadership of Libraries Change Lives: The Declaration for the Right to Libraries, which served as a critical part of her 2013-2014 ALA presidential initiative and legacy. This pivotal manifesto, which has been translated into eleven languages, is intended to mobilize support among patrons, elected officials, and other stakeholders for the vibrant cultural and intellectual roles libraries play in communities. With more than 100,000 signatures, the Declaration catalyzed a movement and renewed commitment to sustained support for America’s libraries. Stripling will receive the Lippincott Award at the ALA Awards Ceremony on June 26, during the ALA’s Annual Conference in Chicago, Illinois.